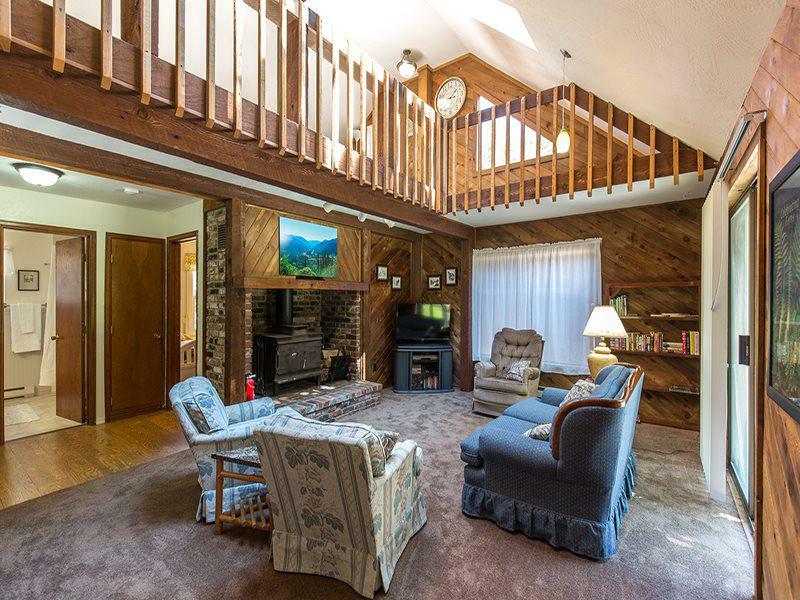 Located in the beautiful Elwah Valley, just 5 minutes drive from Spring Road and easy public access to the Elwah River, this 3 bedroom 1 full bath home has a unique history. 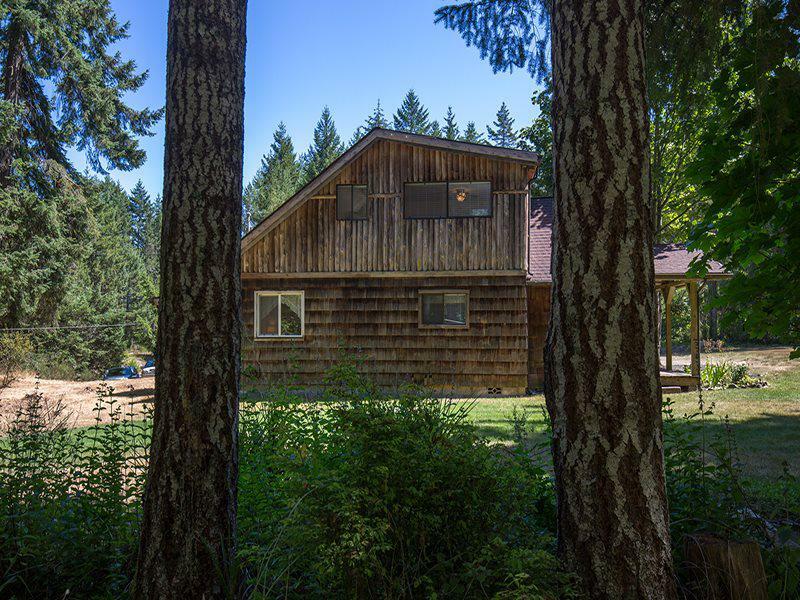 Built in the 1930's, in what is now the Olympic National Forest, this cabin was built as part of New Deal to provide homes for people working in the area. 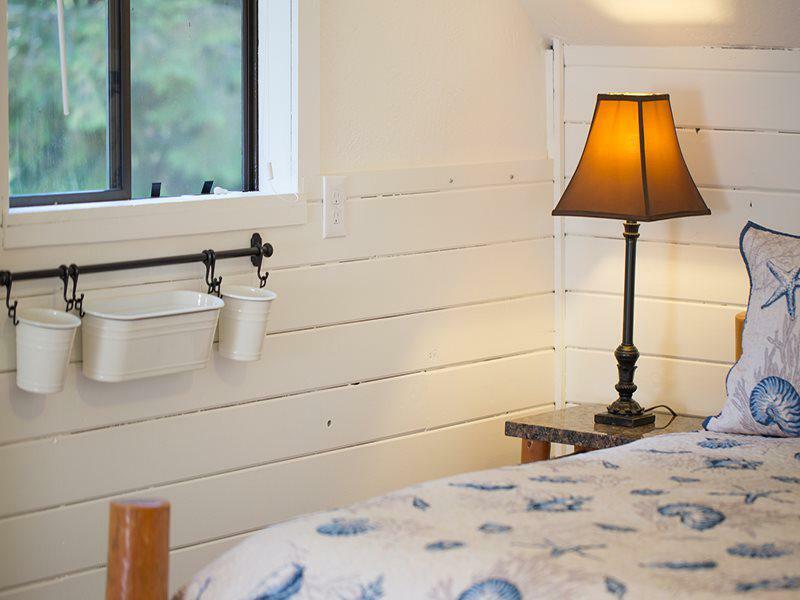 In the 1970's the cabin was transported to its current location. 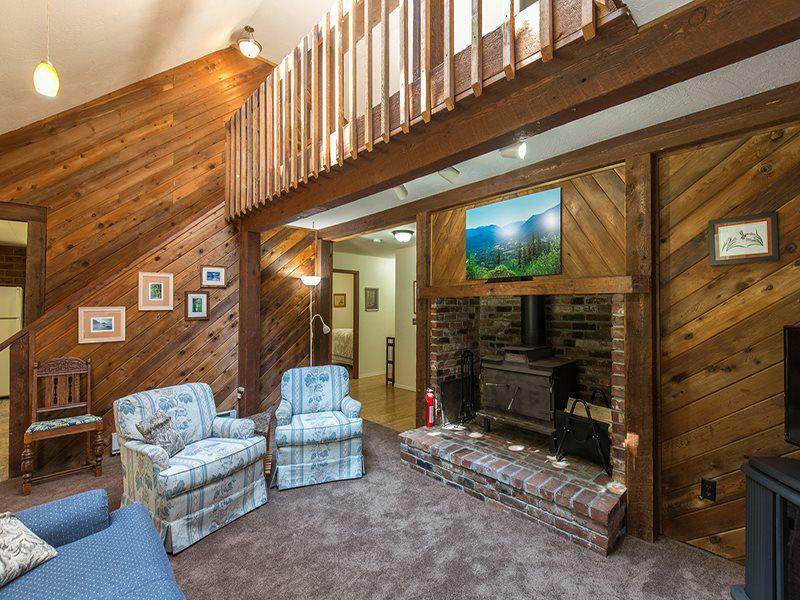 It is now sited on a 1 acre property bordered on the west side by an unnamed creek and is close to the newly restored Elwah River. 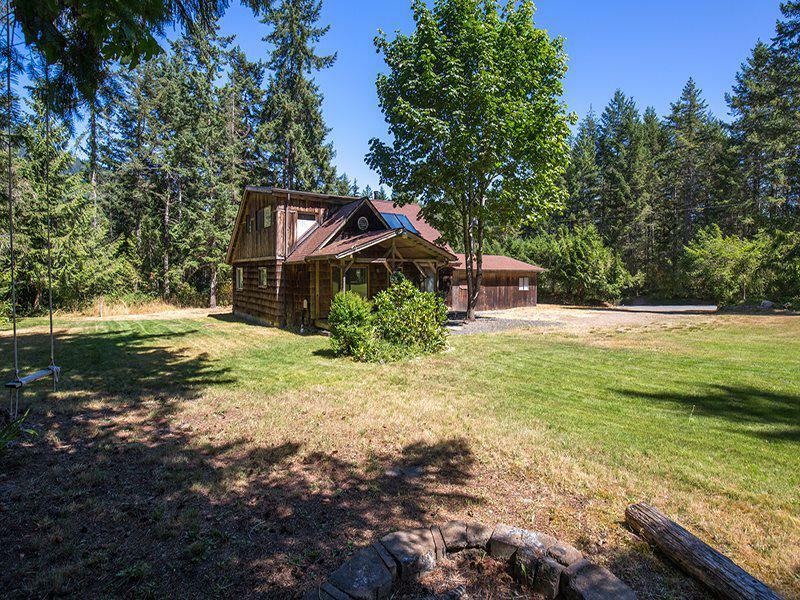 This rustic cabin is only 5 minutes from the public access to Lake Sutherland, and only 15 minutes west of Port Angeles, Washington. 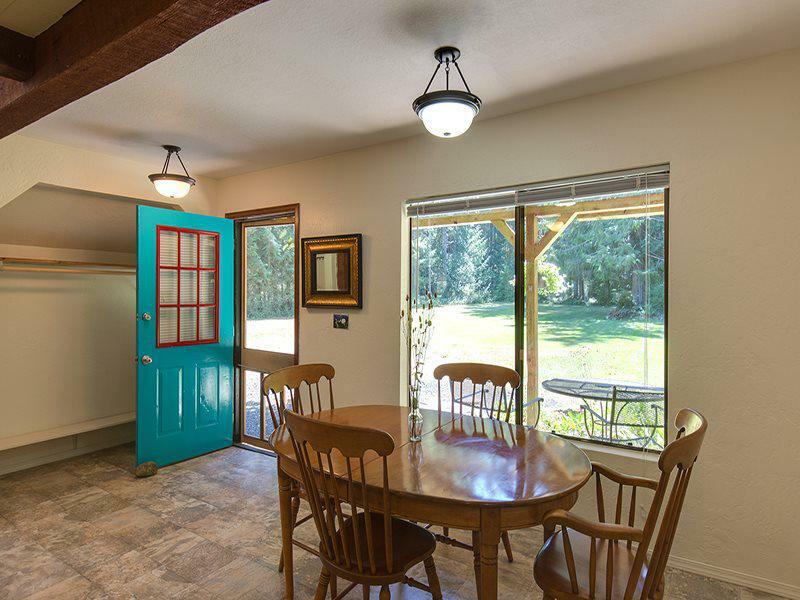 In a truly rustic setting, this home comfortably accommodates parties of 6-8 guests. 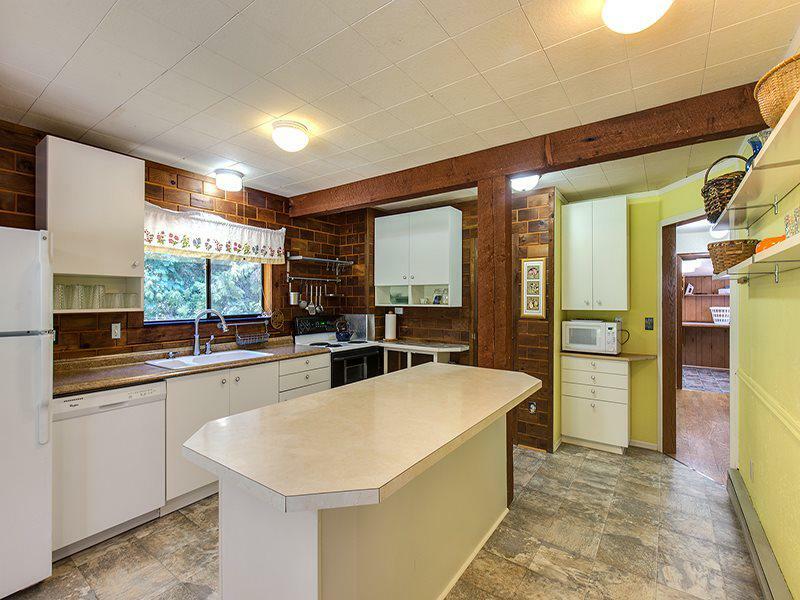 As you enter the large cabin, you come into an open area with the dining room and kitchen to the left and the living room to the right. 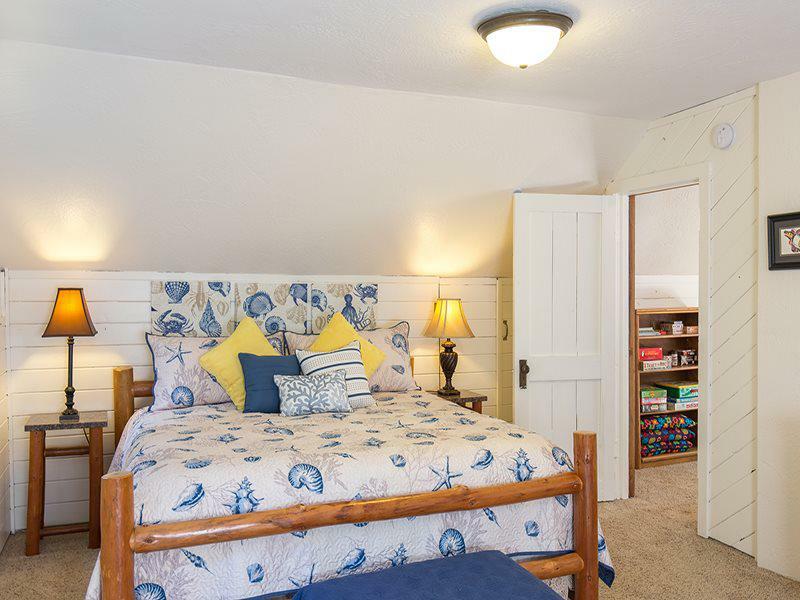 A stairway leads to the loft and master bedroom. 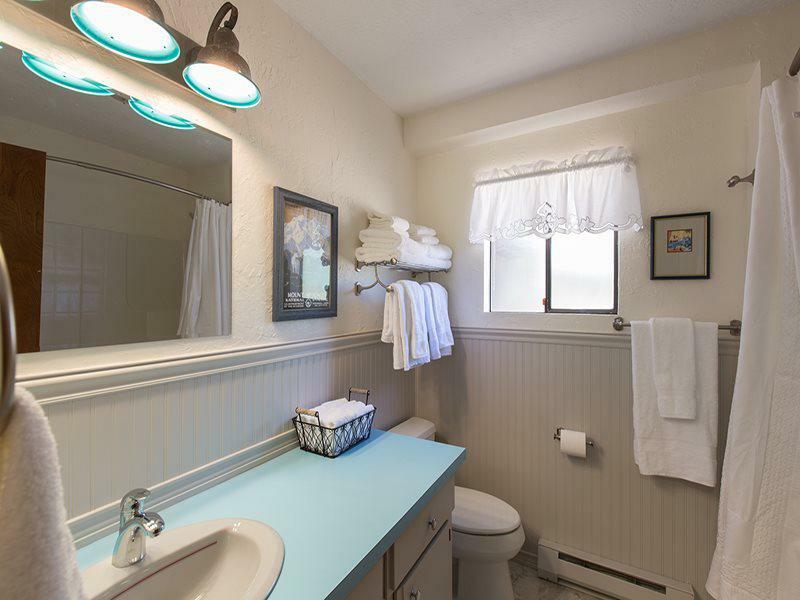 At the back of the main floor are the guest bedrooms, full bathroom and the laundry room/mud room. 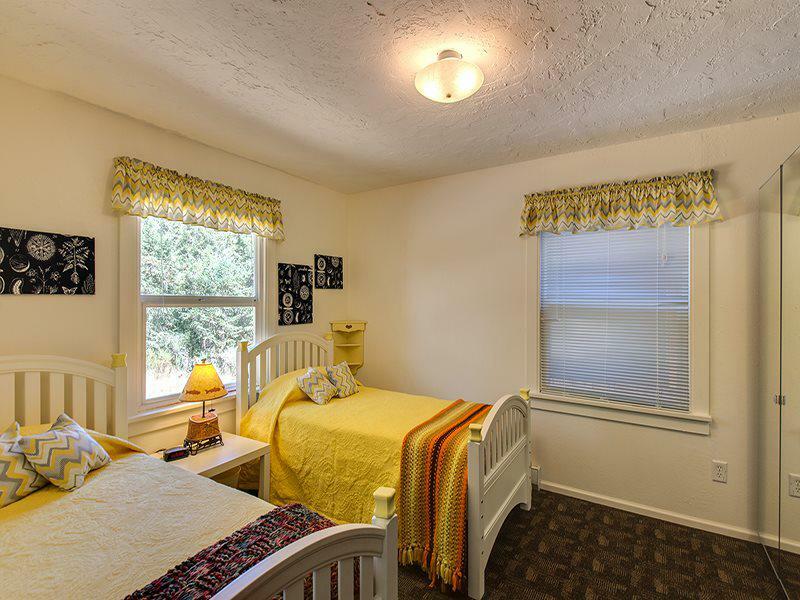 The first guest room has 2 twin beds. 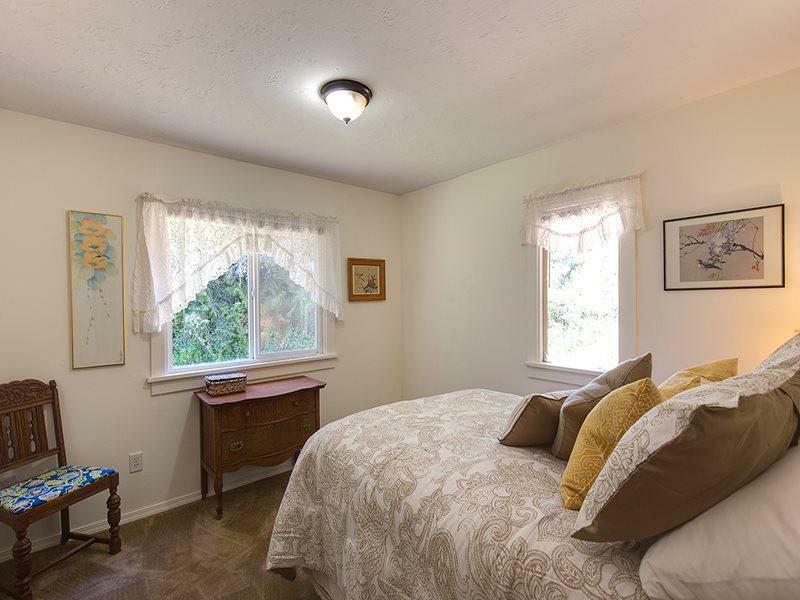 The second guest room has a full bed. Upstairs, the master bedroom has a king-sized bed, a thoughtfully engineered "electronics charging station". The TV has a HDMI cable available to hook up to your laptop and a DVD player. 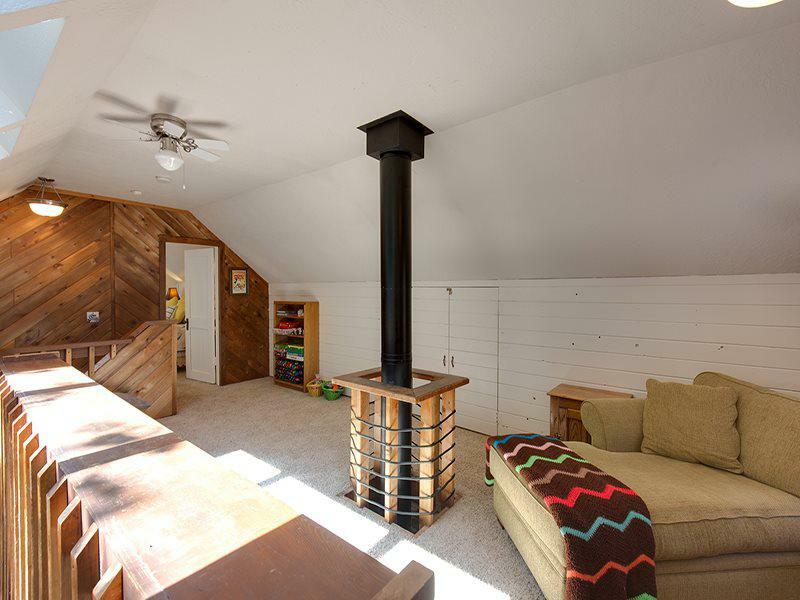 The loft has games, a reading nook and floor space to play or accommodate a couple extra guests in sleeping bags. Please call to arrange sleeping mats for additional guests. Additional guest charges apply. 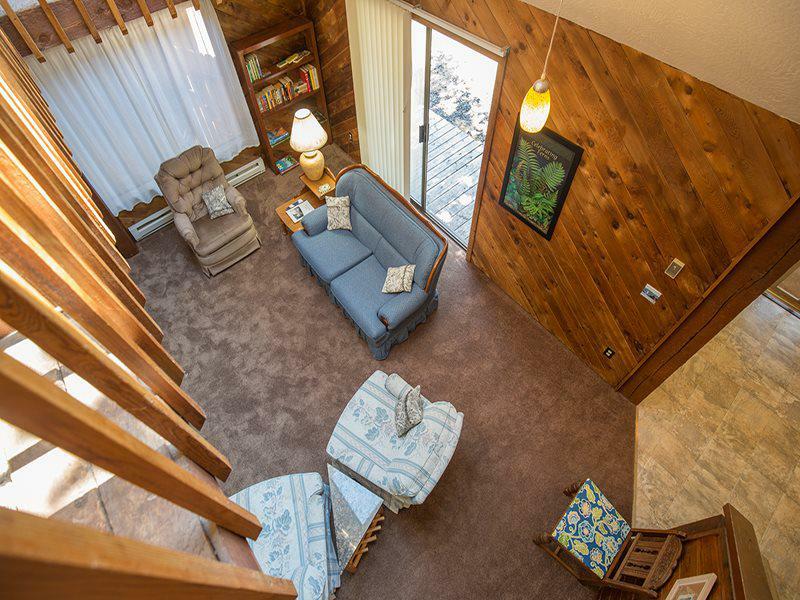 The loft looks down onto the living room where there is a comfortable seating area to gather by the warmth of the wood stove or enjoy the large flat screen smart TV. There is no cable or other TV service here, so bring your own Netflix or Amazon accounts or even just sit an talk. Limited rural internet; Hot spot (10 G/month, first come first serve). There is also a DVD player with this TV. 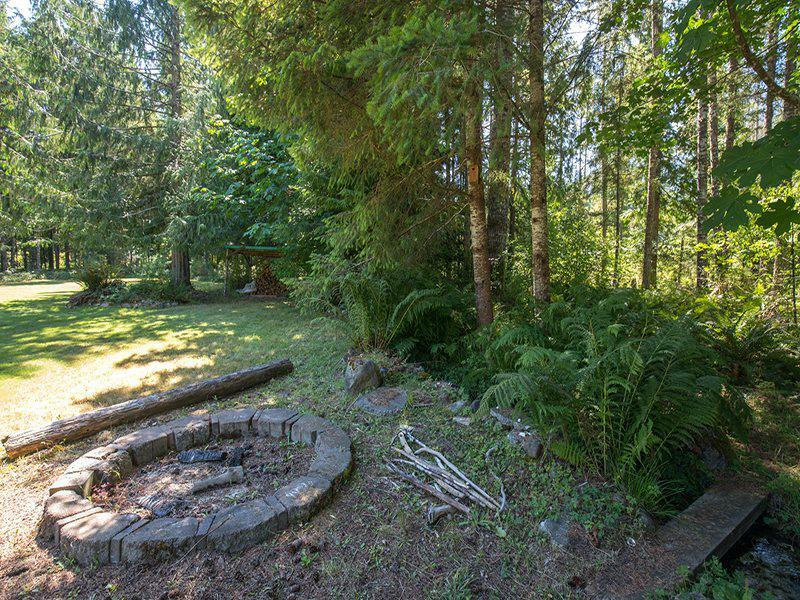 If you are looking for a home base to explore the North Olympic Peninsula, this history rich cabin on over 1 acre is the place you want to be. 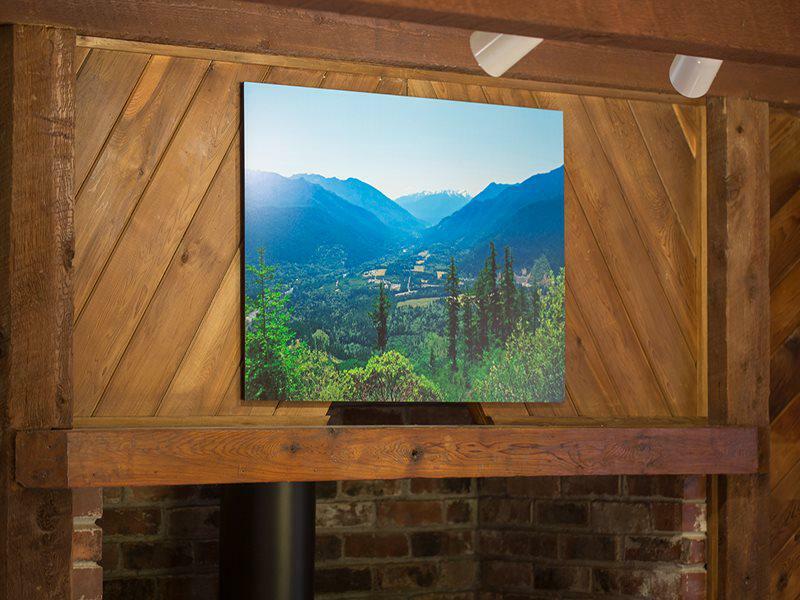 In the Elwah Valley you are framed by the Olympic Mountains where there are lots of popular hikes in the valley and surrounding area. 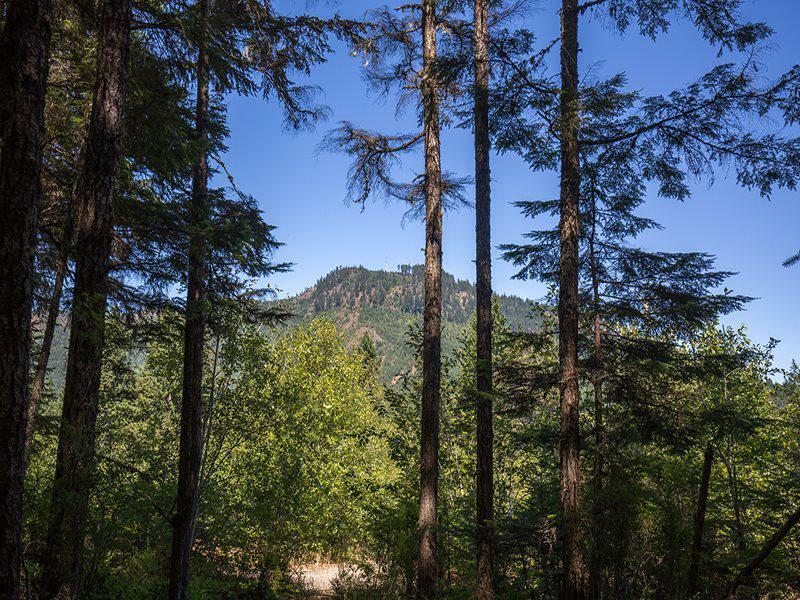 The Olympic Hot Springs, Sol Duc Falls and Hot Springs, and Marymere Falls are close by and favorite destinations. 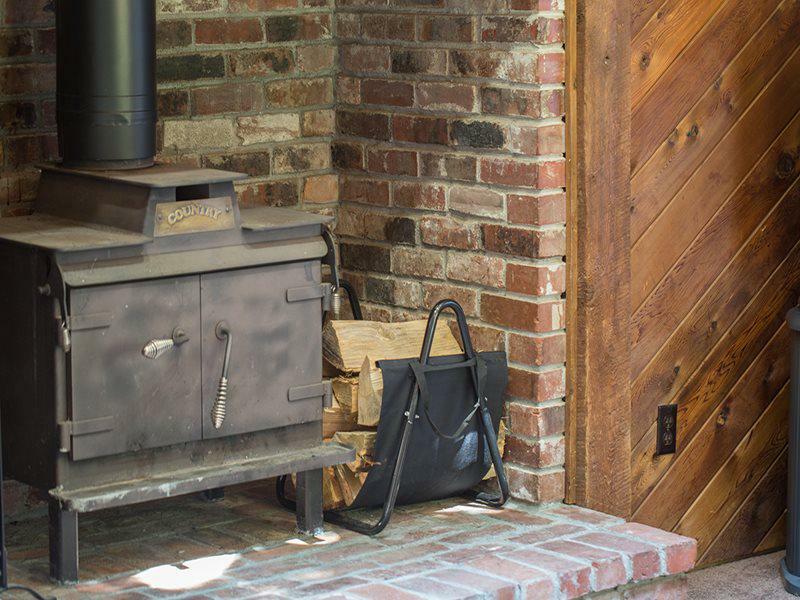 Families with young children will love this rustic get away. Search the creek for crawdads. 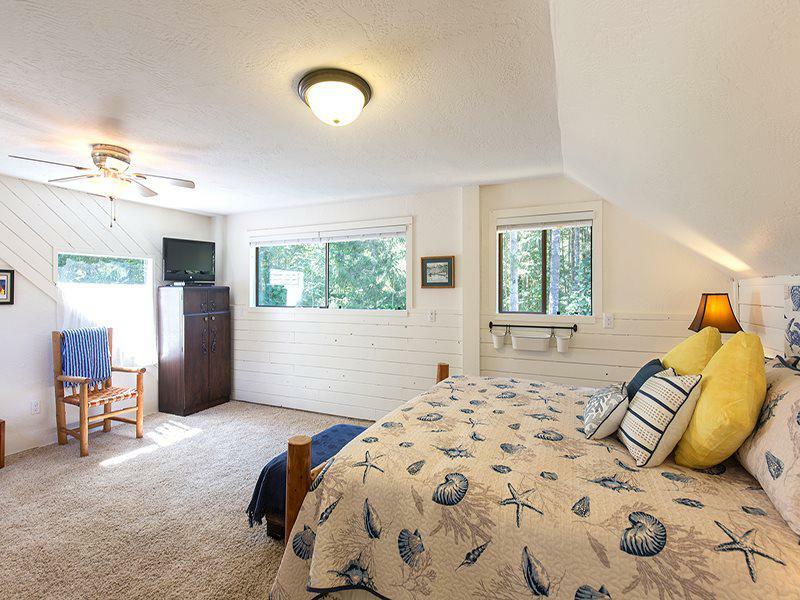 Visit Lake Sutherland for Kokanee fishing or water sports or take in the nearby Lake Crescent. There is plenty of parking on the property if you are bringing a boat and trailer. Don't miss the exquisite Makah Museum in Neah Bay or the Hoh Rain Forest, both o easy driving distance. Stop by Granny's Cafe, just down the road, for a country cafe dining experience. Be sure to leave room for pie!. Enjoy evening fires and s'mores at the fire pit, and games on the large lawn area. Don't forget to stop at any of the local (Port Angeles) grocery stores or gas stations to get wood for the fire pit and wood stove. Extended stay? 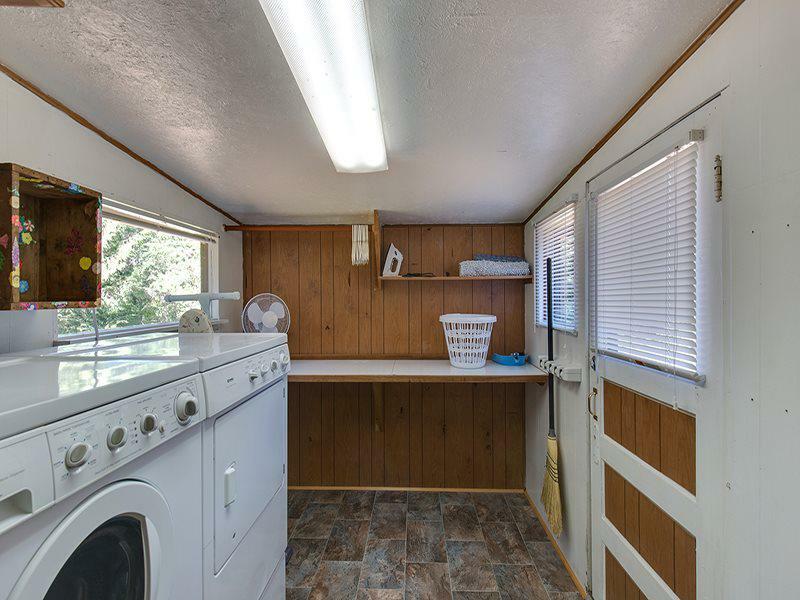 No problem, the cabin is equipped with a washer and dryer in the laundry/mud room. 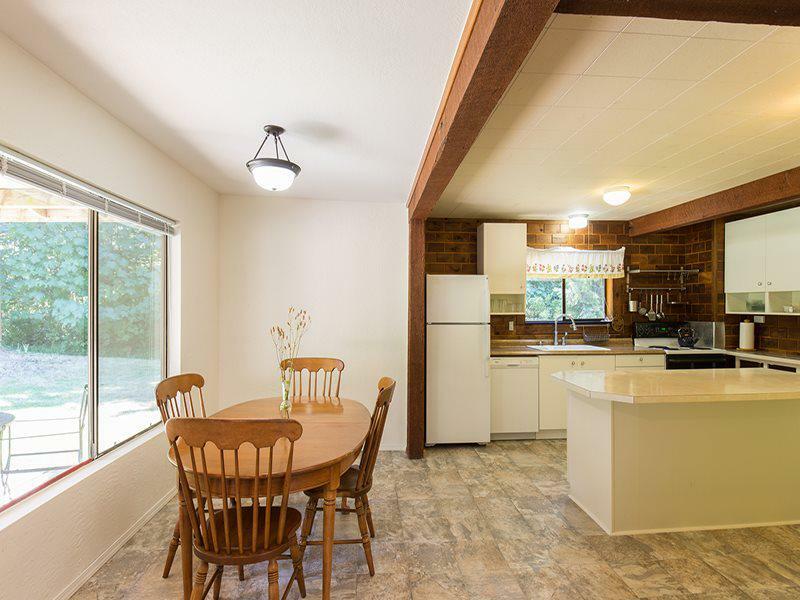 There's plenty of room for meal prep in the kitchen with island. 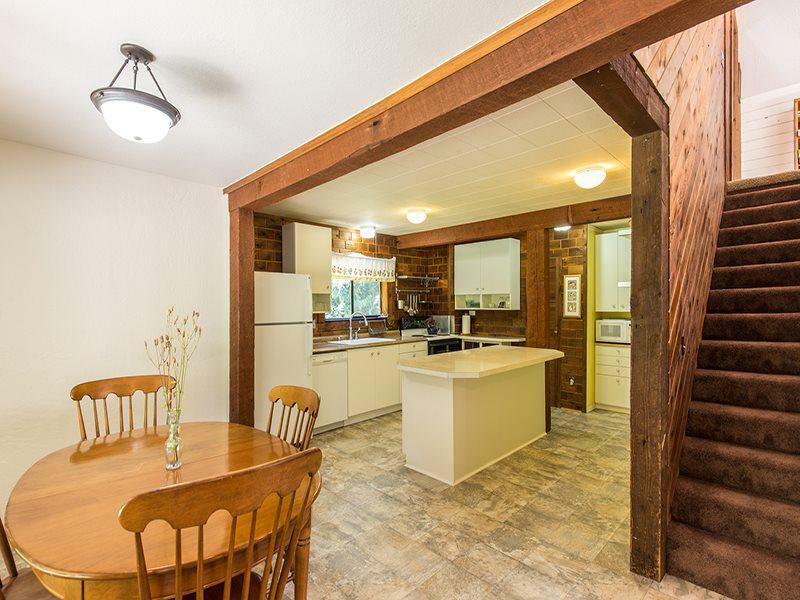 There is a full sized fridge, electric stove/oven, microwave, dishwasher, electric kettle and brew coffee pot. 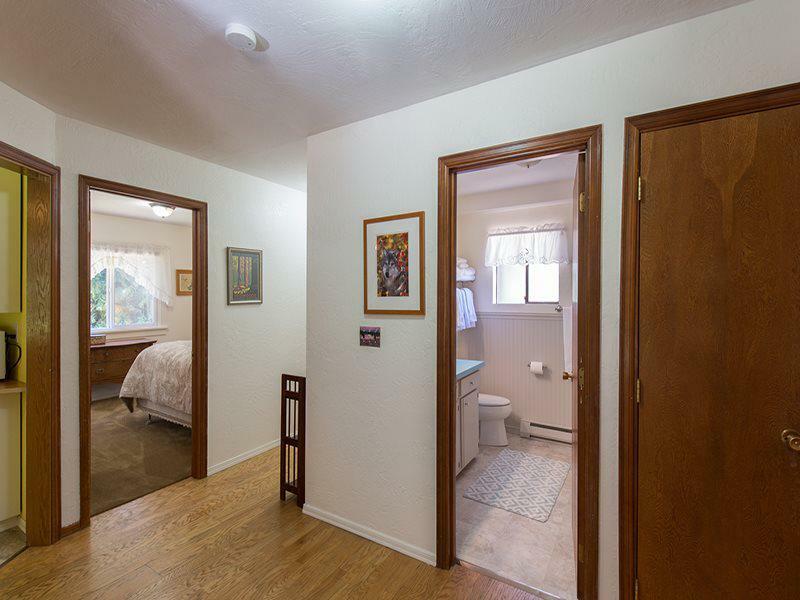 There is a pantry for easy access to your groceries. The dining table has leaves to seat 6 at the table. We provide pots and pans, cooking utensils, plates, glasses, cups and utensils. 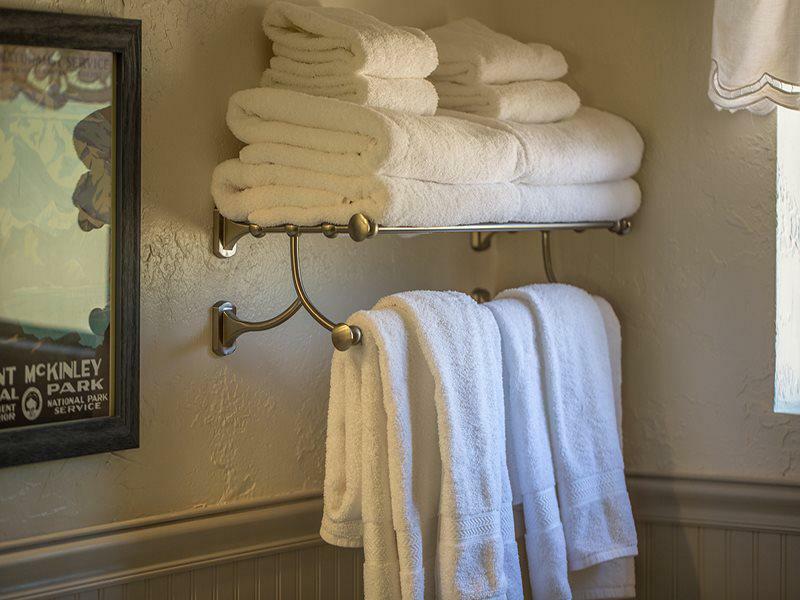 We also provide bed and bath linens, paper products, shampoo and soap, and hair dryer. Bring you groceries, including your favorite spices, teas and coffees. 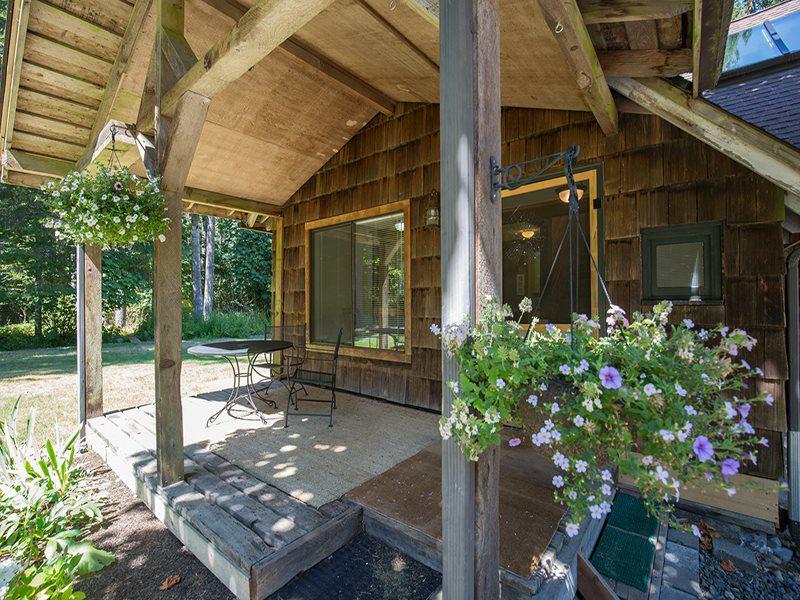 This rustic retreat is perfect for hikers, bicyclers, families, explorers, fishing and hunting groups. 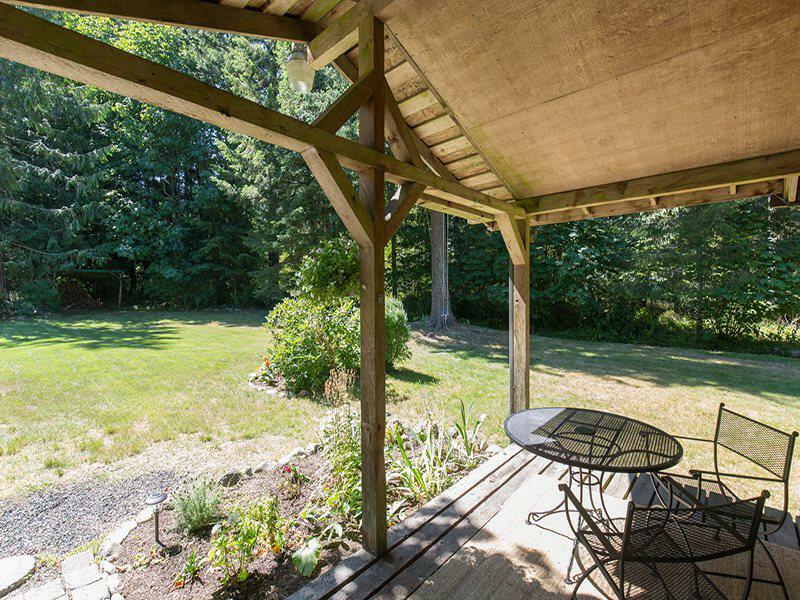 You are now being connected directly Sequim Valley Properties who is responsible for this property.